Bankruptcy is governed by Title 11 of the United States Codes. Oftentimes, what makes sense in bankruptcy world does not make sense in everyday life. Here are the top 5 mistakes potential bankruptcy clients make. What assets you can keep in bankruptcy is governed by the specific statutes of each state known as “exemptions.” This sets forth rules regarding what property you can keep through bankruptcy. Oftentimes, we see clients liquidate their 401(k), or borrow against it, or sell their assets. Carefully consider if you can get out of debt by taking such measures. If at the end of the day, you still cannot get rid of your debt or get it down to an amount that you can deal with, it does not make sense to get rid of assets that would otherwise be protected in bankruptcy. The best time to consult with a bankruptcy attorney is when you are struggling to stay afloat and simply do not see a way to get rid of all of your debts. 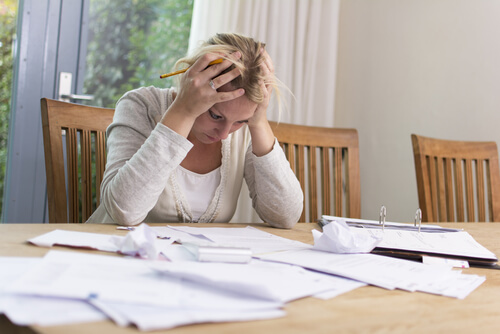 Remember, filing for bankruptcy is a tool to shed your legal responsibility to repay the debt. Nothing in the bankruptcy code prohibits you from voluntarily repaying the debt after bankruptcy. It’s not about running away from your debt, but taking a responsible step at facing your financial situation. Another mistake clients often make is attempting to hide or get rid of their assets for the fear that they will lose the asset through bankruptcy. Any transfers of assets prior to bankruptcy must be disclosed in the bankruptcy petition. Remember, bankruptcy is for the honest debtor. This can happen in two ways. One by tapping into lines of credit or other sources of credit you may have (for example, your home equity line of credit). The debtor may unwittingly convert an unsecured debt into secured. Remember that when you file bankruptcy, the duty to repay the debt on a secured debt is discharged, however, the creditor still has a security interest in the property, and can exercise its right to foreclose or repossess. If a client maxes out his or her credit card, takes cash advances, takes a trip to Paris, with the anticipation of filing for bankruptcy, the client may be committing fraud. Bankruptcy fraud is a felony punishable by prison time. Credit card companies monitor its users for “abuse” and can object in the debtor’s bankruptcy proceeding. This will almost certainly mean additional attorney fees, and worse yet, non-discharge of your debt.